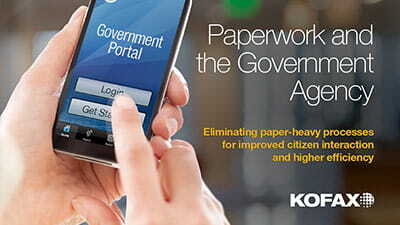 No matter the source—scanner, multi-function printer, print stream, email, fax, web service or file folder—you get production-level scanning and indexing from structured, semi-structured and unstructured documents that contain information in many forms, including machine-printed text, barcodes, hand print and structured page marks like checkboxes. Whether your team is scattered across the globe in branch offices, home offices or traveling offices, you need a flexible system with capabilities for both centralized and distributed processes that significantly reduces processing times and creates a better customer experience. 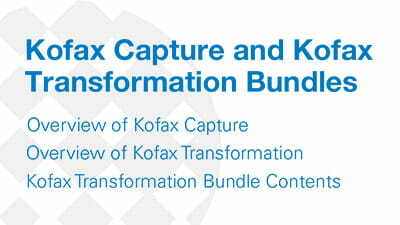 Extend Kofax Capture with an integrated link between intelligent devices like multifunction peripherals (MFPs), network scanners, mobile devices and web and thin client capture capabilities. Automating content capture and distribution not only puts content at your workers’ fingertips and improves your interactions with customers, but it also creates operational efficiencies that typically result in an ROI within 12 months with our solution.